Humus is the most valuable soil amendment a gardener can add to the soil. Composting is the production of humus from selected garden and kitchen wastes. Microbes break down organic raw materials into humus, as they do leaves on the forest floor. Composting is a great way to get rid of yard waste and improve soil structure with no negative impact on the environment. Humus is organic matter in a form plants can use. It adds small amounts of nutrients to the soil. It improves soil structure, water-lholding capacity, and nutrient-holding capacity. It costs almost nothing to produce and diverts yard waste from landfills. Humus has an advantage over applying unprocessed organic matter such as fresh grass clippings, garden debris, leaves, sawdust and wood chips directly into the soil. As these organic materials are broken down my microbes, they consume nitrogen. Nitrogen is the single most important nutrient in plant growth. As the organic matter decomposes the microbes are taking nitrogen from the environment, so, if these organic materials are placed directly in the soil, the microbes will take the nitrogen directly from the soil, and thus causing nitrogen depletion in the soil and your plants will suffer. If the organics gathered into a pile the microbes will take the nitrogen from the organics themselves. This microbe activity heats up the pile during the decomposition. 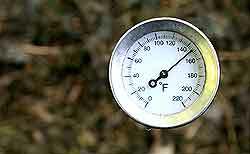 Temperatures can be as high as 160 degrees at the peak of the process. In time the decomposition slows and finally stops. At this point the organic matter is no longer clippings, leaves, and wood chips, but a dark brown or black material called humus. You'll Find the Answer here!